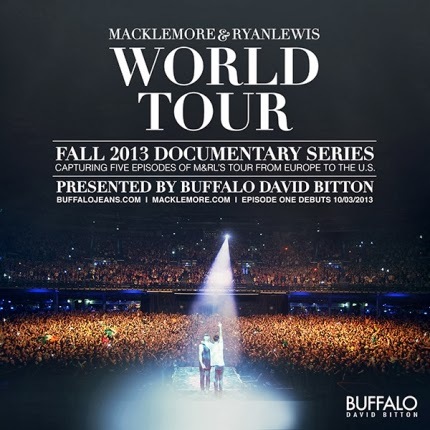 Macklemore has started a new 5 episode docu series of his World Tour. Theses episodes are a nice look into his life on your and good way for fans to get even more in touch with the emcee. It's crazy to think just a few years ago, Macklemore was out here in Seattle performing shows for 200 people. Now he's on a world tour performing in front of 200,000. Hard work pays off and he shows it! Salute!